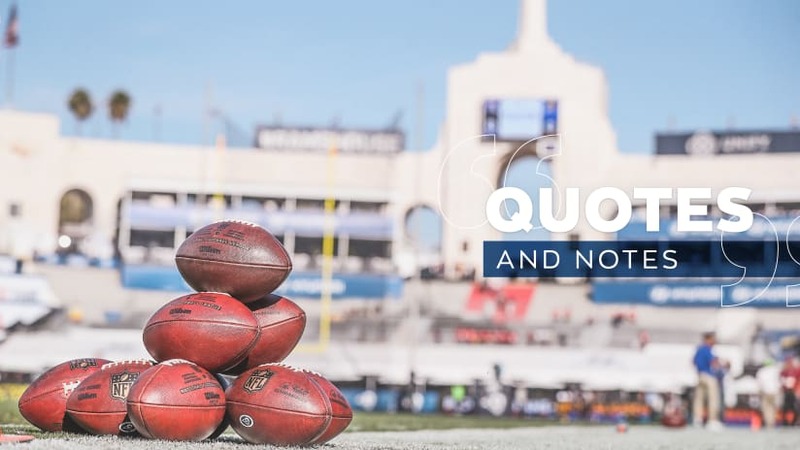 Head coach Sean McVay started his Friday conference call confirming that everyone in the on the team and close to the team was safe from the fires that have spread across Ventura County and parts of Los Angeles county on Thursday and into Friday. McVay said that approximately 45 people within the organization, including around 20 coaches and players, were evacuated from their homes throughout Thursday night, and specifically named defensive coordinator Wade Phillips and offensive line coach Bill Johnson. McVay said adjustments due to the fires inducing the team to cancel Friday’s practice will force his team to prepare for Sunday’s game against the Seahawks in a similar fashion to how it has prepared for Thursday night games. The Rams plan to hold meetings on Saturday at the hotel the team typically spends the night in prior to home games, and is set to hold its Saturday walk-thru on campus at USC. McVay said that he expects the team to adjust and adapt positively to the schedule changes. McVay said considering the situations of those close him has been a lesson in Friday’s unforeseen obstacle. He credited staff members, fellow coaches, and players for working together to make decisions regarding the fire and the most of the difficult circumstances. When asked if there has been any communication between the league and the team with regard to a change in the date or time of Sunday’s game due to air quality at the L.A. Coliseum, McVay said that he is unsure, before listing a few staff members who could be in contact with the NFL if it became an issue. Kickoff against the Seahawks is scheduled for 1:25 p.m. PDT.